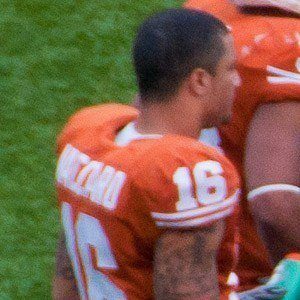 2012 All-American safety for the University of Texas who was drafted 15th overall by the New Orleans Saints in 2013. He was a standout football player at Early High School in Early, Texas. He was a two-time All-Big 12 selection, while playing for the University of Texas. He has a younger brother named Kevin, who also played for the University of Texas. He joined Drew Brees on the New Orleans Saints in 2013.